EM Magazine are running their annual talent search looking for talented actors to win an editorial photo shoot! The competition is for both children and adults in age sections. This is also a great opportunity to get noticed as well as benefit from this amazing prize. The age criteria for adults is 17 years and above. For children age 6 - 16 years. Parents must apply for children. We do not accept emails from minors. The winning shoots will take place no later than 10th August 2019. 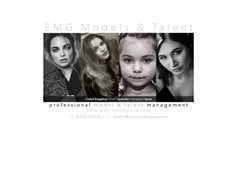 EMG is running their annual talent search looking for talented actors to win an editorial photo shoot! The EMG Group and works with talented people across the globe. This is also a great opportunity to get noticed as well as benefit from this amazing prize. The age criteria for adults is 17 years and above. For children to apply they must be aged 6 - 16 years.